The Petronas Philharmonic Hall was built to accommodate the best of classical and local music by the Malaysian oil company, Petronas. The hall which was opened in 1998, can seat about 885 in its jewel box shaped room. Come, see for yourself the splendid hall that was designed to serve every kind of music ranging from chorus, orchestra, Malaysian folk dance and soloist from all over the world. The Philharmonic Hall is the Home of the Malaysian Philharmonic Orchestra; Malaysia’s own orchestra. Music lovers will consider this a great place to tune in to the finest musicians from around the globe, right here in Malaysia. The Petronas Philharmonic believes that music should be enjoyed in a comfortable, peaceful and intimate surrounding. They also believe that a better understanding of how music is performed and interpreted is important to fully appreciate the music being performed. At the Encounter master class and workshop, children can come face to face with eminent musicians, visiting artists and even MPO principals who will willingly share their knowledge about music and the technique in making much loved music passionately. Who knows, the Petronas Philharmonic could be the place where many can be inspired to produce great music in the future! So, do purchase the tickets at the box office for only RM 10 or RM 5 for Encounter club members. The Petronas Philharmonic is the best place for a family outing of pure fun! Contact the box office to find out when is the next Family Fun Day Concerts-the only concerts in town where you can laugh out loud, sing along, clap your hands and have ultimate fun! Something you may not do in a more formal concert. There will never be a dull moment throughout the concert for the entire family as the concert is highly entertaining! And, the performers have made it such that even adults too can enjoy the session! At the Petronas Philharmonic, children can also explore how music is made with the many in house programs that are organized by the Malaysian Philharmonic. 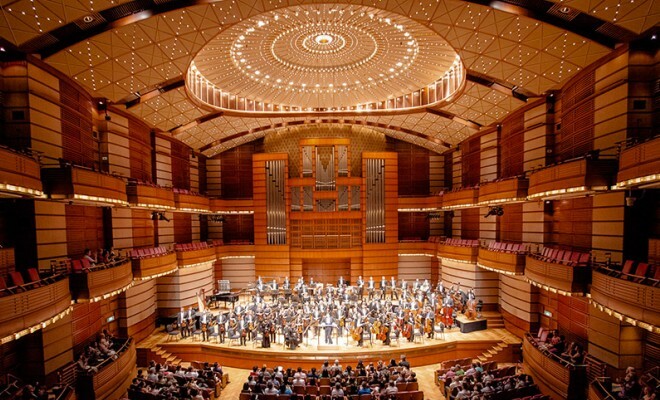 More recently, the Petronas Philharmonic has also become the home of the new Malaysian Philharmonic Youth Orchestra (MPYO). The new orchestra features talented young Malaysians who share the same passion for good music. They perform under their principal conductor, Kevin Field and musicians from the Malaysian Philharmonic Orchestra (MPO). If you are in Kuala Lumpur, do visit the Philharmonic! Whether you are spending a romantic evening with that special someone or to fill a day with excitement, the Malaysian Philharmonic is the best place to tune into the best music the musical world has to offer.